It must have felt a far cry from Camden Town and the cottage ahead chimney puffing smoke from it, a world away from Arlington House. But they came slowly up the path, some on crutches, some halting, to drink in the view and others chatting to new acquaintances. All moving towards the warmth of the turf fire that beamed out of the 1916 leader Sean McDiarmadas’ old house in the Leitrim hills. 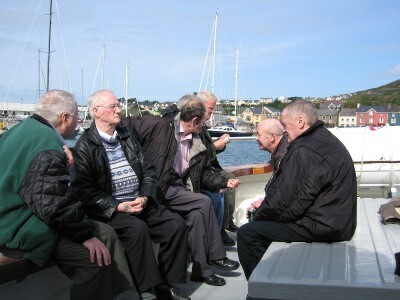 They were part of the Aisling Return to Ireland trip, a supported holiday for emigrants. Many for one reason or another had not made it home for some time. Some as long as 40 years, the hand that London dealt them perhaps not been the kindest. But they were home now. “But for the grace of God” said local man Jim Dillon waiting in the house. And he would echo others’ thoughts, having spent years in London, knowing how it can swallow up even the strongest on anonymous streets. Jim had risen early so that he could head down to the house to lovingly prepare it for it’s pending visitors. As too the new Cathorleach had put on his chains. More people again were waiting in the Ballagh community centre in Rossinver, with music, stories and refreshments. They all wanted to give a welcome befitting these special guests in the year of the Gathering. 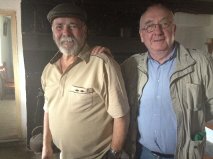 The Aisling Project has been going for 20 years, with Alex McDonnell one of its founding members, a worker in Arlington House one of the biggest hostels in Europe – historically home to many Irish. It has seen changes and refurbishment over the years as too, with the waves of emigrants of the 50s and the 60s getting older and being replenished once more by further cohorts as Ireland belches out its youth in recession to London and now further afield. And this trip? People were coming back home who originated from the North West, while some came from Mayo and Galway. 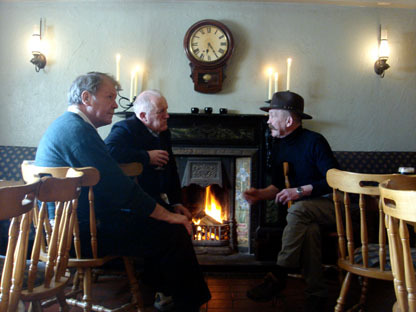 Part of the purpose of the trip was to link people back to families now lost, and bridge the distance, sometimes to have a stop-gap to immerse themselves into the wilds and find solace in the calm that only rural Ireland could bring. Ireland reclaiming its own, giving the time to gather strength to battle the demons that might await their return in the urban surrounds of Hammersmith, Kilburn, and Camden. Sean, 39 years gone, came home to Sligo and was helped through the Aisling Project to meet long lost cousins. This trip had given him vibrancy. He was coming back, and there was no doubt in his mind of that, he said. Perhaps there was something now for him to come home to. He listened about the cottage, to the resilience in the stories of the past in the house like a time machine that hadn’t changed much since Sean Mc Diarmadas’ time, the family not long after having handed it into the guardianship of the state. It would soon be the centenary of the rising, and Leitrim Co Councillor Sean McDermot spoke of hopes that the place would be opened for the many, and of funding toward that. There was warm talk also here, as later, of the chicken like gizzard of the Gillaroo, a rare form of trout breeding since the ice age in Lough Melvin just down the road. But London Sean, late of Sligo, was keenly interested in that turf, the aroma and glow of which reminded him so much of home, and talked to Jim Dillon about where it could be sourced locally. And as the bus loaded there a quick interlude, while precious cargo exchanged hands and was bustled onboard. 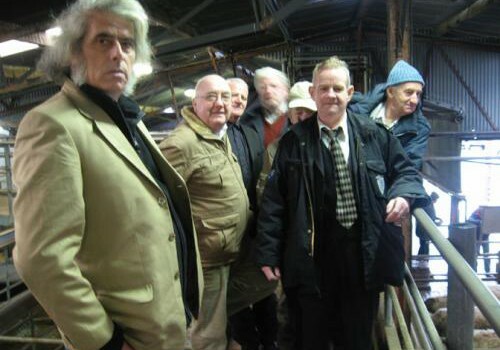 A handful of turf would soon be making its way from Leitrim to Camden Town.